The accountancy profession hasn’t been shown in the best light in recent years and seems to have reached a particularly low point, especially with revelations surrounding big name failures and celebrity tax avoidance. But can the failures and dubious decisions be ascribed to a few individuals or companies, or is the problem more widespread? Rotten to the core—or just rotten at the top? The Big Four certainly haven’t been waving the flag for ethical practices and efficiency. Last year, the Financial Reporting Council (FRC) fined Ernst & Young (EY) £2.75 million for alleged misconduct in relation to a 2011/12 audit of Tech Data and fined PricewaterhouseCoopers (PwC) £5 million for ‘extensive misconduct’ relating to its audit of a professional services group. Overseas, the U.S. Securities and Exchange Commission (SEC) fined KPMG $6.2 million for ‘misinforming’ investors about the value of a certain company. The scandal has continued this year, with KPMG admitting to misconduct in 2011 dealings and facing tribunal again, and PwC hit with a £10m fine over its auditing of BHS and Taveta Group. Deloitte doesn’t have a stainless record either, fined £14 million in 2013 for its dealings with investors involved in MG Rover and accused of a “persistent and deliberate disregard” of accountancy ethics at the tribunal. As for the demise of Carillion, all Big Four companies were involved. Deloitte was Carillion’s sole internal auditor; KPMG served as external auditor; EY gave turnaround advice and PwC advised the company, its pension schemes and the Government. These incidents have not only turned an unwelcome spotlight on the Big Four, but also on the FRC, which has its fair share of Big Four alumni and has been accused of leniency, a lack of thoroughness, painfully slow decision-making and too close a relationship with the Big Four. The Association of Accounting Technicians, an accounting body with 50,000 full members, has accused the FRC of presiding “over a catalogue of audit failure that has brought its own existence into question,” and Baroness Bowles, former chair of the European Parliament’s economic and monetary affairs committee, is amongst those calling for the FRC to be replaced by a new organisation that actively protects the public interest. “The FRC can only be fixed by root-and-branch reform that cuts out all the links and individuals that have supported such a flawed and culturally oblivious set-up,” she said. Of course, big fines and tribunals involving big firms will always attract the attention of the media, and it would be easy to assume that the power of the Big Four and their links with the FRC are responsible for most of the corruption and failures in the accountancy profession. But it may not be so. 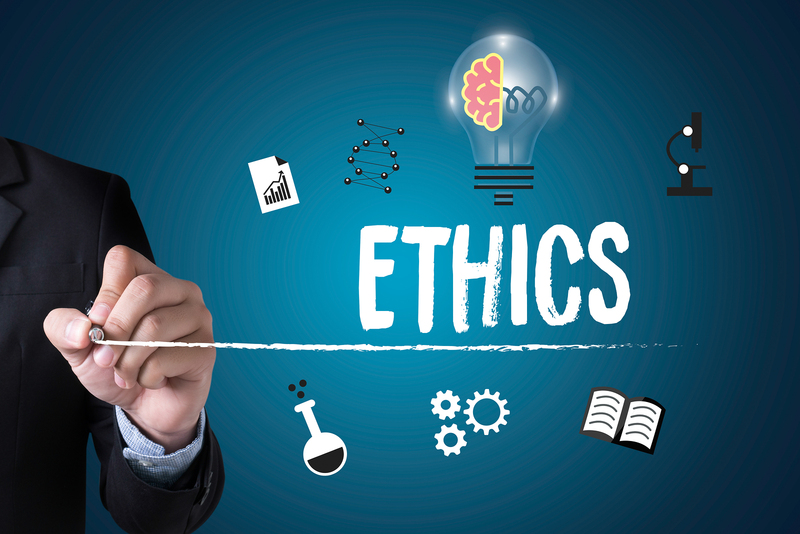 The line between what is ethical and what is legal as regards tax avoidance has been hot news over the last few years, with revelations about major companies, celebrities including Lewis Hamilton and Jimmy Carr, and even the Queen. However, recent research by CareersinAudit.com and CareersinRisk.com reveals that some very deliberate ‘cooking’ of the books goes on at all levels. More than a third of accountants surveyed for the research admitted they are aware of a senior staff member at their current workplace who has made a decision to deliberately choose a commercial result for the company, even though the decision could be regarded unethical. Half of all accountants and auditors surveyed said they had been pressurised by a manager or a partner (or knew someone who had) to ignore an adjustment that should have been made to a set of accounts. 22% said they believe that more than 25% of the profession have helped their clients create a set of deliberately misleading accounts. 16% believed 10-20% of the profession are involved in shady activity and a further 24% believed between 5-10% of the profession are involved. Worryingly, 65% of accountants and auditors believe businesses do not do enough to protect employees against victimisation or dismissal should they report the misconduct of a colleague. Some respondents gave examples of the dubious dealings they had encountered. Careers in Audit is calling for changes that mean employees will no longer need to worry about losing their job, clients or career prospects if they speak out when they discover malpractice. “Rather than let another ticking corporate scandal go off, let’s get to the heart of the issue for the profession – to create enforceable code of practices which ultimately encourages the right working culture to report fairly and without fear,” the company said in its summary of the findings. ← Millions Are Missing Out on Work-Related Expenses. Are You?